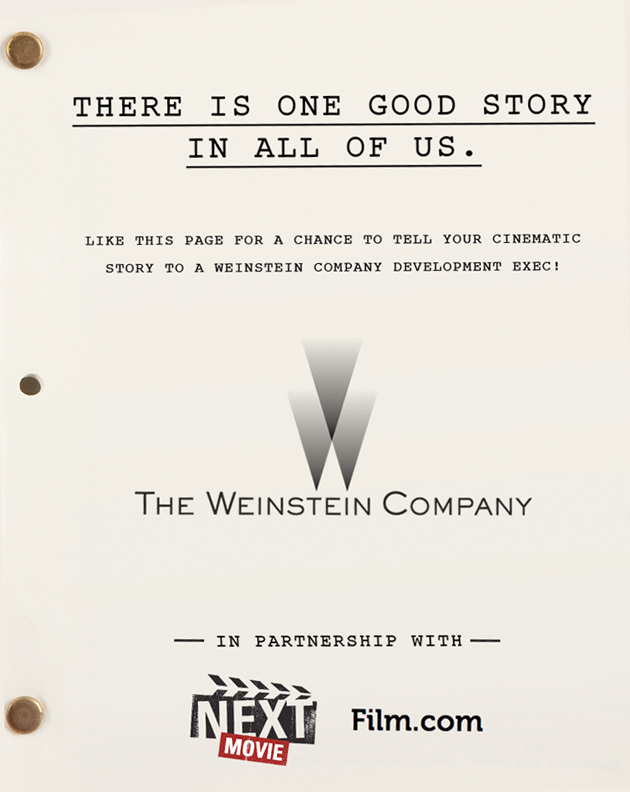 The Weinstein Company has partnered with Film.com and NextMovie to offer budding filmmakers a chance to pitch the company’s Development Executives your story via their Master Storytelling Contest. The Weinstein Company continues to back huge successful films – most recently, “Django Unchained,” “Silver Linings Playbook” and Lee Daniels’ The Butler. Here’s your chance to add your title among this group. Eligible submissions must be written treatments between 200 and 1,000 words in length, describing the premise and plot of your proposed film. The pitches have to be completely original ideas that have never been publicly published or submitted to any prior contests. To enter, visit The Weinstein Company’s Facebook page or NextMovie’s Facebook page. After “liking” The Weinstein Company’s page, you’ll be able to access an entry form. The contest closes at 11:59 A.M. (EST) on October 3rd, so start writing! Good luck to all, and we hope to be reviewing your film and reporting on its Oscar campaign in the near future. Click on the image below to go to the Weinstein Co. Facebook page.